India and Afghanistan will contest the penultimate Super 4 match of Asia Cup 2018. 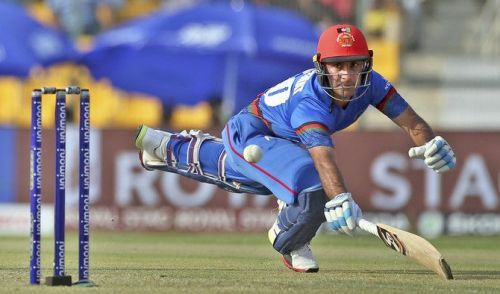 While Indians are undefeated in the tournament and have cemented their place in the finals, the ‘underdogs’ Afghanistan have squandered an opportunity to reach the finals. They came agonizingly close to a win in their last two encounters but faltered towards end stages of the game. Though the upcoming match is a dead rubber, both the teams would like to put their best foot forward. 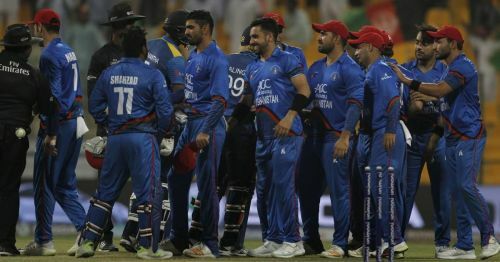 While India will look to continue their dominating performance ahead of the finals, Afghanistan will look to play for pride and try to put forward a competitive performance against a quality one day side. Let us have a look at three Afghanistan players who can pose a threat to India in their final Super 4 match. Shahidi is the third leading run-scorer in the ongoing edition of Asia Cup. In four games, he has scored 263 runs with an impressive average of 87.67. He has been immensely consistent in the tournament. Shahidi has three 50+ scores against his name with the best of 97. Moreover, he is the only player in the ongoing tournament to score three consecutive half centuries. He has been the backbone of the Afghanistani middle order. When wickets tumble around him at one end, he stays strong and keeps the scoreboard ticking from the other end. His only probable weakness is the strike rate at which he is getting his runs. A strike rate of 72.85 is not appealing in the modern era. However, he is getting the essential runs, which is the crucial factor in crunch situations. Dhoni's 200th match as ODI Captain, the best match of the Asia Cup!